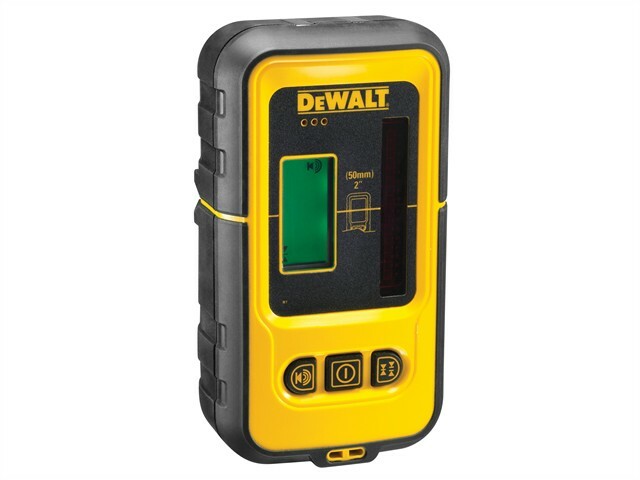 The DEWALT DE0892 Detector is very easy to use and offers a 50m working range. With selectable narrow and wide accuracy settings and a backlit LCD display. Magnets allow detector to be mounted on the metal tracks and there is a heavy-duty clamp for mounting on a grade rod. The dector will automatically shut off if it is inactive for 5 mins, prolonging battery life.